One third of US adults have either undergone some form of infertility treatment or they have known somebody who has, according to a Pew Research Center survey. It has been 40 years since in vitro fertilization (IVF) was first introduced to the world as a possible technique for having babies, but the extensive rise in infertility cases has made a many people familiar with these reproductive technologies. Interestingly, it was noted that infertility awareness was directly proportional to an individual’s education and income. Around 50% of college educated adults claimed to have experienced fertility treatment first hand, or through another person. 43% of people who held a bachelor’s degree were exposed to fertility treatments of some kind—either having gone through it themselves, or being in the circle of somebody with fertility problems. The number rose to 56% if the person in question had a postgraduate degree, reports the Pew Research Center. People were also likely to be exposed to some sort of fertility treatments if their family income was greater than $75,000. 48% of people who earned more than $75,000 had known about fertility treatments, although the researchers did not specify what kind of fertility treatments. 36% women knew about fertility treatments because they had it themselves or because of someone they knew, but among the men, only 30% said they had that exposure. 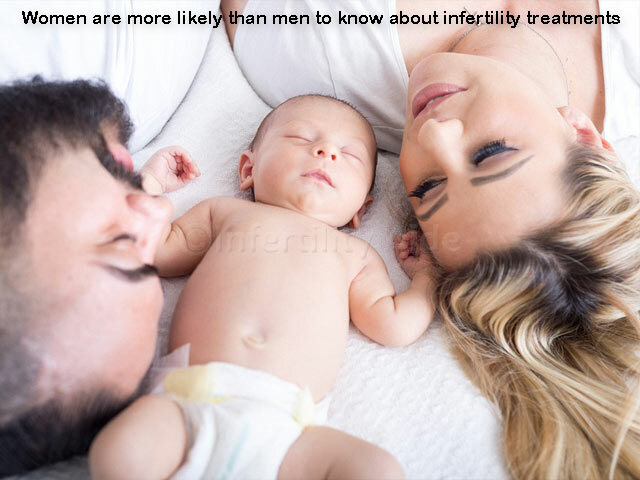 This could be because women and men have similar rates of infertility, Dr. Richard Grazi, medical director at Genesis Ferity Clinic told ABC News. Towards the end of their fertile years, 9% of all women reported to have sought fertility treatments for themselves or their partners, according to a Pew Research Center analysis of National Center for Health Statistics data. Dr. Grazi also said that ART procedures can become very expensive with the average cost of IVF cycle being around $10,000 excluding medications, which can cost another $7,000 – $8,000. Many people travel for IVF in Thailand, Malaysia, Mexico, or India, where the lower cost of living and cheaper healthcare services, allow even top-rated fertility doctors to offer their services for a fraction of the cost. Over a million babies have been born as a result of IVF in the US, according to Pew Research Center estimates based on CDC data collected from fertility clinics. Artificial reproductive technology (ART) accounts for 2% of all births in the US now. Loiuse Brown, the first born IVF baby, says the treatments that started with her parents have now progressed significantly and she finds it inspiring. “I think it’s excellent that it gives people hope and they can still have a family,” she said. Brown was born on July 25, 1978, making IVF treatments an industry of 40 years. 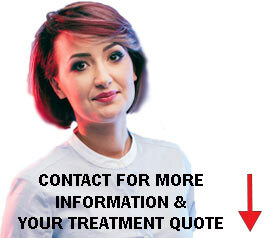 Do you think people around you are aware of infertility treatments like IVF? Did you know that you people with higher education are more likely to get IVF treatments? Or that even your race influences the likelihood of you encountering infertility treatments? As many as 33% of Americans have either undergone IVF treatments or have known somebody who has, a new study has found. Money, education, and even certain races make people more likely to know about IVF.